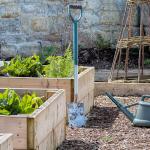 Everything you need to get and keep your garden looking its best. From weeding to seeding and lawn care to tree pruning, we’ve got what you need to get the job done. Please contact us to learn more about our gardening tools and garden supplies. We have all information you require for your Bulk Product needs. From potting up orchids to amending your vegetable beds we have soils, potting mixes and mulches for all your home and garden needs. 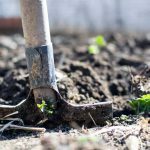 Natural soil amendments like Sea Soil, organic compost and manure (Mushroom, Sheep or Cattle) can feed your soil boosting your beneficial microbial activity and improving plant health. 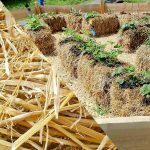 Zeolite and Pellitized Gypsum can help break up heavy clay soils, lime can reduce the acidity (increasing the alkalinity) and sulphur products (a good example is Turf Revolutions PH Decreaser) can increase the acidity (or lower the PH) allowing you to create the perfect growing environment for the plants you want to grow. Our potting mixes are great for everything from baskets of annuals to your Grandmother’s favourite jade plant. Select from brands such as Promix, Miracle Grow and Groundskeepers Pride to find the mix that best meets your needs. Give your beds a more finished appearance with decorative mulch like rainbow rock or chipped bark. Reflect the style of your garden while retaining moisture and suppressing weeds naturally. We have a selection of natural and chemical fertilizers to meet the nutrient needs of a range of plants from houseplants to trees. Choose natural fertilizers from brands such as Green Earth, Evolve and Turf Revolution or chemical fertilizers from Scott’s, Miracle Gro, Plant Prod and Jobes’. Whether you’ve got problems with fungus, insects or weeds we can help you find a solution. We even carry insect repellent, to keep you bite free when you’re working in the garden. More than just a structure to hold your plants up, trellises and supports can add a fun or elegant touch to your garden. A wrought iron shepherd’s hook will let you hang a basket at the foot of your walkway. Colourful tomato cages add a dash of flair to your vegetable garden. Beautiful wooden or wrought iron trellises look good even when your vines are dormant. An obelisk lets you add a narrow vertical accent with a vine in a location where you just can’t get a narrow tree or evergreen to thrive. The proper support may be just the finishing touch your garden needs to look its best. Just getting started? We’ve got the gloves, shovels, spades and garden forks that will get you digging into gardening. Garden already established? 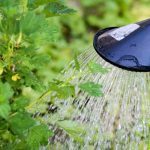 You can find watering cans, pruners, dandelion diggers, hoses, sprinklers and rakes to keep you garden looking its best. If you like to start your own plants we’ve got the propagation supplies you want. 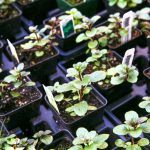 Grow lights, seeds, pots, trays, domes and misters will get your garden off to an early start. 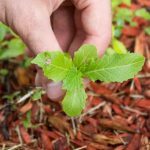 Synthetic VS Organic Fertilizers: Who will Win?